The Roncato family business was established in the 1940s. Right after the Second World War, people were dreaming of a better life overseas. Antonio Roncato, who worked prior as the head of production in a luggage factory, had the idea and knowledge to create durable bags needed for Italian emigrants to facilitate the journey of their lifetime. A journey, a dream, a passion and courage, were the key values of the initial project and continued to be the driving forces of the Roncato family. In the ‘70s, Antonio's son Giovanni Roncato established Valigeria Roncato. 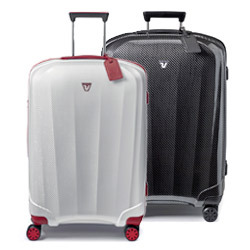 He had the insight to create the first mass assembly line of luggage products in Italy, which allowed him to transform the company into an industry. Meanwhile, the third generation leads the family business and continues to pursue Antonio’s dream and products to accompany millions of travelers on their journeys. 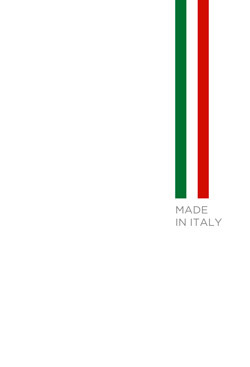 Roncato stands for "Made in Italy" quality luggage products worldwide. Giovanni continued to innovate production processes and products, manufacturing the first top-of-the-range Italian luggage items. At the end of the ‘80s, the “Sphera” collection made of polypropylene was created. 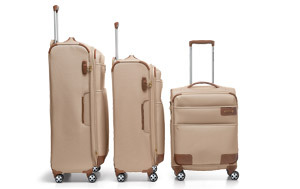 Thanks to their "Sphera" shape at the side, those suitcases were highly practical, manageable and innovative. 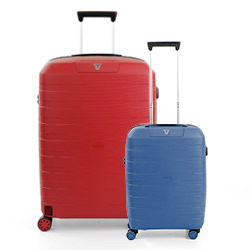 In the ‘90s, another historic collection was introduced called “Teenager”, which revolutionized the concept of suitcases with a wide color selection and a unique Italian design. This collection reached a milestone for the company: The items were sold over 1 million times worldwide. 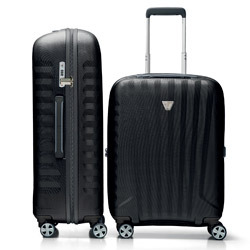 In 2000, an ultra-innovative product, the upright suitcase, was introduced with the “Shuttle” collection. 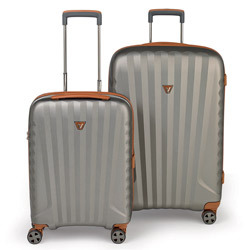 With its ergonomic tow handle and various improvements, it radically changed the suitcase concept for Roncato. 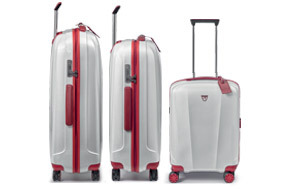 In 2007, the “UNO SL” collection was introduced, the first upright suitcase in the world with a polypropylene band and a polycarbonate shell. The Roncato “Light” collection, features light, environmentally-friendly polypropylene (100% recyclable) in various colors. This collection helped Valigeria Roncato becoming a company that pays great attention to research and innovation for consumers and environment. In 2012, “Uno Zip” was created, a functional suitcase with great aesthetic appeal. A luxury version was introduced two years later, in ultra-light polycarbonate with real leather details. In 2015, the “Box” collection, suitcases made of lighter and more resistant than ever polypropylene, was launched with great success. 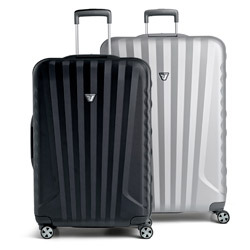 Roncato has the distinction of having the lightest "MADE IN ITALY" polycarbonate upright suitcase in the world. 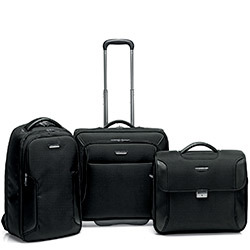 In the 90ies, Roncato became the Italian leader in production of polypropylene suitcases. In 2007, it started the production of polycarbonate bags, combining this material with polypropylene, and also became leader in this production. 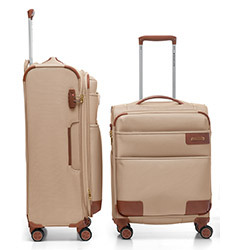 Over the years Roncato has become an icon of “Made in Italy” luggage worldwide and its Italian trolleys are considered the lightest and strongest in the world. Nowadays, Roncato is present in more than 100 countries worldwide, on all five continents. It sells in flagship shops, multi-brand and department stores.